Everyone deserves a great love story. But for seventeen-year old Simon Spier it's a little more complicated: he's yet to tell his family or friends he's gay and he doesn't actually know the identity of the anonymous classmate he's fallen for online. Resolving both issues proves hilarious, terrifying and life-changing. Based on the acclaimed young adult novel, Love, Simon is a funny and heartfelt coming-of-age story about the thrilling ride of finding yourself and falling in love. Following a thoroughly exciting year for mainstream gay movies Love, Simon is the cherry on top of the sundae, and uplifting throwback to John Hughes high school comedies with a gay leading man. With over 40 million dollars in box office grosses, this film is a bona fide hit with audiences. Critics praised the film for its "big heart, diverse and talented cast, and revolutionary normalcy", describing it as an "instant classic" that is "tender, sweet, and affecting" and a "hugely charming crowd-pleaser" that is "funny, warm-hearted and life-affirming." I bought a copy of this movie because my other half loved it. The cast is top notch. The acting is excellent. The technical aspects get high marks. So why "Meh"? I grew up in a blue-collar family. I technically became an orphan the day I admitted to my mother that I was gay. Neat, sanitary movies like "Making Love" and "Love Simon" where coming out involves one night of tears followed by the perfect (wealthy) family embracing each other in the final reel ring hollow for me. I'm sure many people's coming out stories are as easy as Simon's. Not all are - even as we approach the 50th anniversary of Stonewall. 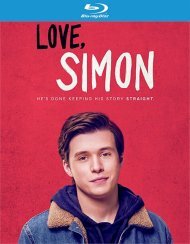 You will have to wait until March to see "Love, Simon" but advance word says that this is a movie that you do not want to miss. For Simon love is complicated- no one knows he's gay and he doesn't know who the anonymous classmate is that he's fallen for online. "Love, Simon: is an American comedy-drama directed by Greg Berlanti and based on the novel "Simon vs. the Homo Sapien Agenda" by Becky Albertalli (reviewed here as well). 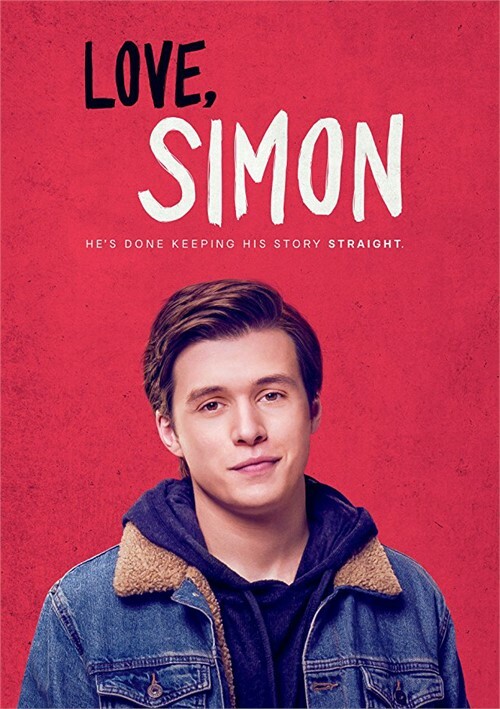 Simon (Nick Robinson) is a 17-year-old closeted gay high school student to balance his friends, his family, his email pen pal Blue, and the boy threatening to reveal his true sexuality to the whole school. In one scene, Simon imagines this one boy and imagines them kissing underneath the mistletoe at Christmas. This is very powerful to see a guy imagining himself with this other guy especially in a movie that will hit mainstream movie houses.